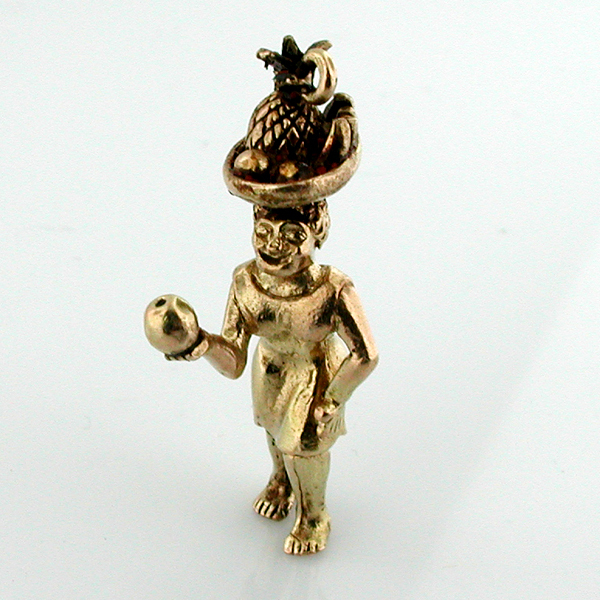 This is a lovely vintage English 9k gold Fruit Vendor charm. Excellent detail all the way around. 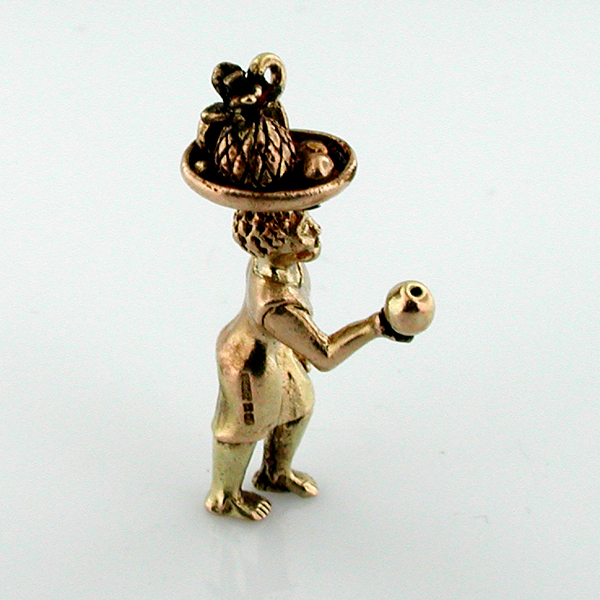 Charm measures 1-1/4" x 5/8" x 3/8" (32mm x 17mm x10mm). Marked 9 375 and British Hallmarks. 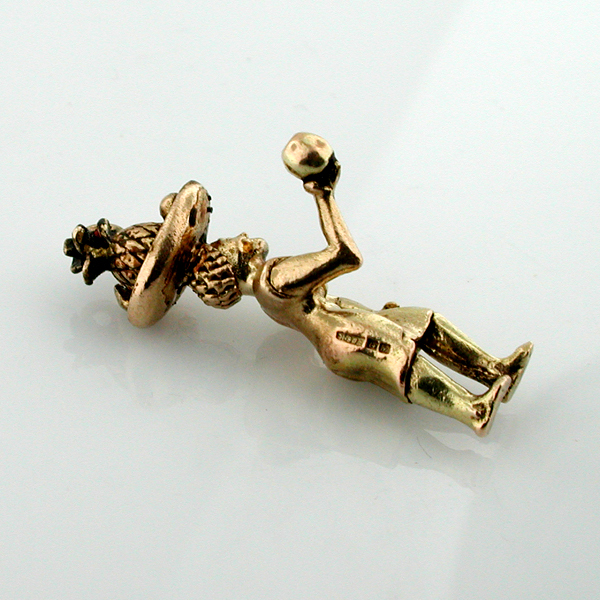 Total weight of the charm is 6.9 grams.